Clay was raised in a Christian home by a father who modeled a highly-structured leadership role with his three sons, Clay recognized this structure as a contributing factor for his success as a man, as well as with his life’s work with teen boys. Clay Hatcher served as chaplain of the high school athletic teams on which he played. After marrying April, his high school sweetheart. he served as a licensed minister with the Southern Baptist Convention in various youth ministries. Clay has a vision for Gateway that includes the addition of a new vocational training center, which was completed in 2018, an agricultural program, better utilization of buildings and land, and expanded team sports. He is tireless in the advancement of his goals and the oversight of the staff ad campus, rarely spending time in his office. Should you need help finding reform schools, therapeutic boarding schools, group homes for teens or therapeutic boarding schools, please let us know. 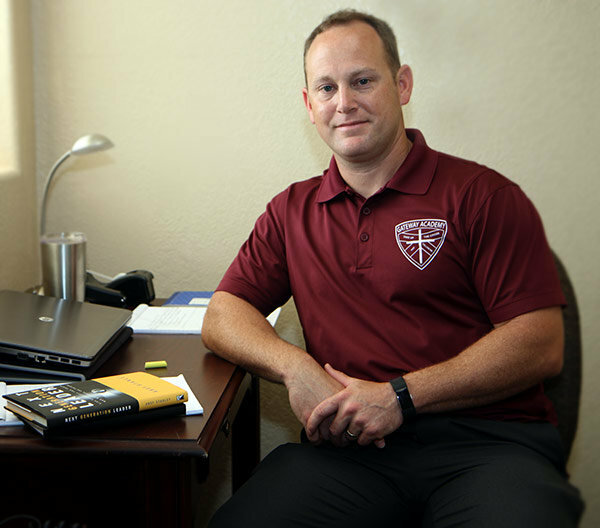 Boarding schools for boys, like this Teen Challenge military school for boys and boys homes, offers behavioral therapy for troubled teen boys and teen counseling in a structured boarding school setting. Unlike most boot camps and military schools, Gateway is a long-term residential program that helps at-risk teenage boys; boys with anger, oppositional defiant disorder (ODD), attention deficit disorder (ADD), attention deficit hyperactivity disorder (ADHD). Gateway no longer operates like boot camps or military schools but retains the structure and discipline of military academies. Our school is similar to military schools and can be referred to as a “school for troubled teens”. Such troubled teen schools and residential treatment programs for teens are often quite costly, but this one of few military academies and residential schools for teens that is affordable.